Japan and the United States are currently holding the biggest joint drills in Japanese history, Keen Sword, having reportedly mobilized about 57,000 marines, sailors, and airmen. The United States and Japan plan to devise an operations plan for a joint response by their armed forces to potential Chinese threats to the disputed Senkaku Islands (known as Diaoyu in China), The Japan Times reported, citing unnamed government sources. The two nations are reportedly engaged in discussions on how to respond in emergency scenarios around the group of uninhabited islands, claimed both by Japan and China, in the East China Sea. According to insiders, Tokyo and Washington seek to finish work on the plan by next March. While Washington has not taken a position on the ultimate sovereignty of the contested islands, President Donald Trump told Japanese Prime Minister Shinzo Abe last year that the US was committed to defending Tokyo under Article 5 of the two nations’ security treaty, adding that it also covered the Senkaku Islands. 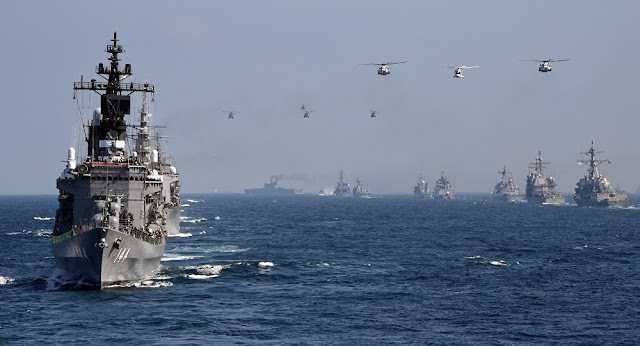 The Japan Times reported that by crafting a plan to handle a potential armed conflict with China, Tokyo hopes that Washington will determine its position on the sovereignty issue. The sources told the media outlet that the plan suggested deploying Japan’s Self-Defense Forces in the event of such an emergency as armed Chinese fishermen landing on the islands – after the police are incapable of providing an adequate response.